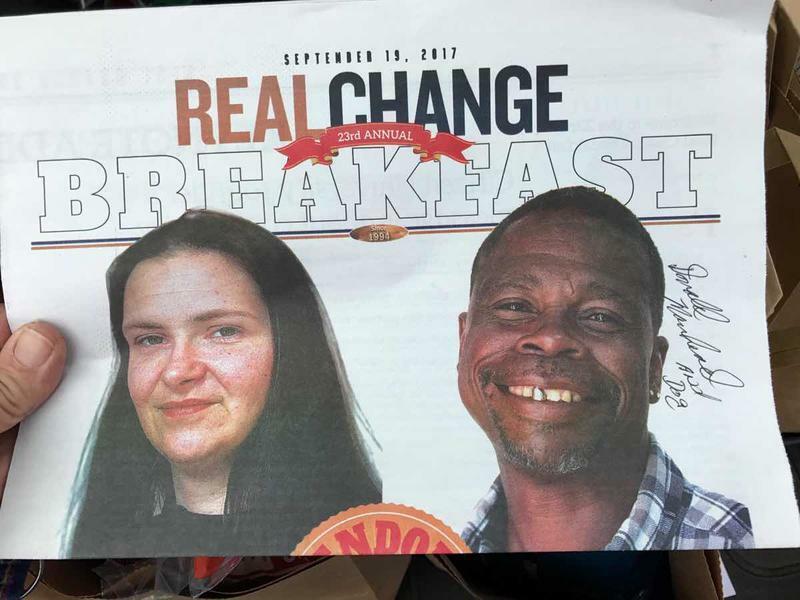 Congratulations to Real Change vendor Donald Morehead, winner of the 2017 Real Change Vendor of the Year award! Donald sells Real Change newspapers outside Ballard Market, 1400 NW 56th Street in Ballard’s West Woodland neighborhood. You can find him most afternoons greeting customers with a smile & hello near the north entrance. 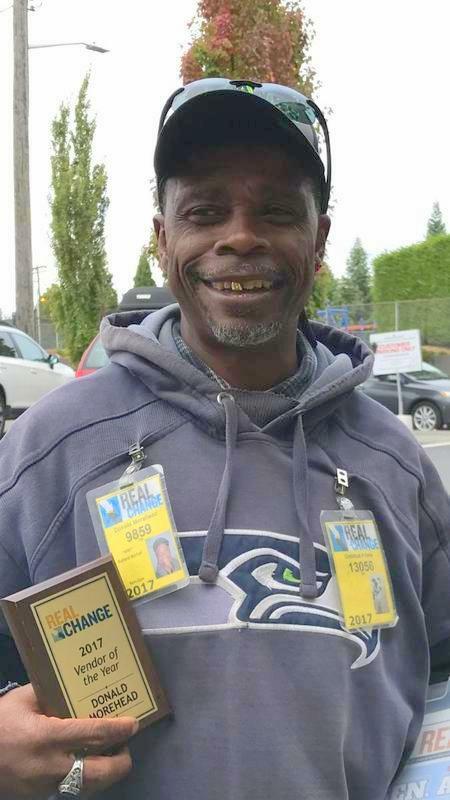 “When Real Change vendor Donald Morehead first came to Seattle 17 years ago, he was broke, homeless, had PTSD from a life of trauma and was self-medicating to get through the day. Real Change is a reader supported social enterprise. They combine quality news production, fearless social justice advocacy and non-judgmental low barrier employment opportunities for homeless & very low-income people. Real Change relies on broad-based grassroots donor support to fund approximately 2/3 of our annual budget. The remaining 1/3 of our revenue comes from earned income sources – advertising, circulation sales and subscriptions. Thank you to Whittier Heights neighbor Cynthia Slate for providing photos for this post.